Book Covers View. Please Confirm Price at Amazon BEFORE buying. Free at 6:35 pm EST. Free Book Blogs – Apple, Kindle, Nook, Kobo, Free Books in Return for Reviews. Authors, Promote Your Book to 4.1 Million Readers. Become A Bestselling Author. *A Beat in Time (Deal, Not Free) by Sandrine Gasq-Dion. Price: $0.99. Genre: 18+ Rock Star Romance Deal of the Day, Sponsor, Firefighter Romance. Rated: 4.5 stars on 22 Reviews. 165 pages. ASIN: B018MJ0V3G. ***Make Me Forget (It’s Kind Of Personal Book 1) by Anna Brooks. Price: Free. Genre: Adult Women’s Fiction of the Day, Sponsor, Psychological Fiction. Rated: 4.5 stars on 147 Reviews. 291 pages. ASIN: B00P5UO434. *Stray Hearts by Jane Graves. Price: Free. Genre: Romance Comedy of the Day, Humorous, NY Times Bestselling Author, Contemporary. Rated: 4.4 stars on 20 Reviews.197 pages. ASIN: B00EIMJXXQ. NY Times Bestselling Author Jane Graves. ***THRONE OF NOVOXOS: VAN LAVEN CHRONICLES by Tyler Chase. Price: Free. Genre: Fantasy Romance of the Day, Sponsor. Rated: 4.5 stars on 159 Reviews. 410 pages. ASIN: B00M9QVKWU. *The Mindfulness Approach: To Eliminate or Reduce Symptoms of Stress-Related Illnesses by Dean Nelson. Price: Free. Genre: Nonfiction Book of the Day, Sponsor, Mindfulness, Health. Rated: 5 stars on 8 Reviews, 166 pages. ASIN: B01MXLVT6W. *The Finger Collector: Blood Money (A Jack Gunn Book 1) by Thomas H. Ward. Price: Free. Genre: International Mystery Book of the Day, Murder, Organized Crime. Rated: 5 stars on 5 Reviews. 246 pages. ASIN: B06XRPS59Q. **(Box Set Deal, Not Free) Unfinished Night — The Complete Duet: Caine & Addison, Books 1 & 2 Box Set (Unfinished Love Series, Bk 1 & 2 Bundle) (Deal, Not Free) by Violet Duke. Price: $0.99. Genre: Adult Romance Box Set Deal of the Day, Sponsor, USA Today Bestselling Author. Rated: 4.7 stars on 56 Reviews. 578 pages. ASIN: B06ZZ72RX9. USA Today Bestselling Author Violet Duke. *Fairy Wings: A Supernatural Freak prequel (Deal, Not Free) by Louisa Klein, Lori Aronsohn. Price: $0.99. Genre: Fantasy Deal of the Day, Sponsor, Paranormal & Urban Fantasy. Rated: 5 stars on 1 Reviews. 315 pages. ASIN: B06XJS1L6B. *Plain Crazy (Deal, Not Free) by Dani Jo Love. Price: $0.99. Genre: Adult Romance Deal of the Day, Sponsor. Rated: 4.7 stars on 9 Reviews. 227 pages. ASIN: B06XCK4KBL. **(Box Set Deal, Not Free) Unfinished Night — The Complete Duet: Caine & Addison, Books 1 & 2 Box Set (Unfinished Love Series, Bk 1 & 2 Bundle) (Deal, Not Free) by Violet Duke. Price: $0. Genre: Adult Romance Box Set Deal of the Day, Sponsor, USA Today Bestselling Author. Rated: 4.7 stars on 56 Reviews. 578 pages. ASIN: B06ZZ72RX9. USA Today Bestselling Author Violet Duke. *Across The Plane: Tom Carpenter’s Journey (Deal, Not Free) by Jake Pixley. Price: $0.99. Genre: Contemporary Fiction Deal of the Day, Sponsor. Rated: 5 stars on 1 Reviews. 90 pages. ASIN: B06Y59GFF5. *Never Fear the Reaper (A Never Fear the Reaper Series Book 1) (Deal, Not Free) by Ashley Pagano. Price: $2.99. Genre: YA Paranormal Romance Deal of the Day, Sponsor, YA Fantasy. Rated: 5 stars on 2 Reviews. 120 pages. ASIN: B06XQPSF8G. ***The Bridge Club: A Novel (Deal, Not Free) by Patricia Sands. Price: $0.99. Genre: Women’s Fiction Book Deal of the Day, Sponsor, National Indie Excellence Award Winner, Contemporary Women. Rated: 4 stars on 115 Reviews. 398 pages. ASIN: B005W81TEQ. *Letters from a Shipwreck in the Sea of Suns and Moons by Raymond St. Elmo. Price: Free. Genre: Action & Adventure Novel of the Day, Magical Realism. Rated: 5 stars on 7 Reviews. 285 pages. ASIN: B01JE4YIBY. *PAST TENSE: BOOK ONE OF THE ARCADIA SMITH TRILOGY by MALCOLM MCDONALD. Price: Free. Genre: Mystery of the Day, Sponsor, Thriller & Suspense. Rated: 5 stars on 1 Reviews. 194 pages. ASIN: B071CSCKP9. *Dirt by Todd Lincoln Richards. Price: Free. Genre: Crime Thriller of the Day, Sponsor, Organized Crimes, Murder. Rated: 5 stars on 6 Reviews. 249 pages. ASIN: B00PQV6NY0. ISBN: 1503264386. *Wild Side: Book #1 Kari Stillwell Series by Kelly Goode. Price: Free. Genre: Adult Paranormal Romance of the Day, Sponsor, Vampires, Shifters. Rated: 4.3 stars on 6 Reviews. 301 pages. ASIN: B00JT1YRUK. *Make Money As A Ghostwriter: How to Level Up Your Freelance Writing Business and Land Clients You Love by Sally Miller, Cruz Santana. Price: Free. Genre: Nonfiction Book of the Day, Sponsor, Entrepreneurship, Make a Living as a Ghostwriter, Freelance Writing Business. Rated: 5 stars on 12 Reviews. 83 pages. ASIN: B071YDKW1D. *Crazy Bout this Block Boy by Andrea. Price: Free. Genre: African American Romance of the Day, Urban. Rated: 4.9 stars on 29 Reviews. 173 pages. ASIN: B01M1DEAIY. *90 Days To Profit: A Proven System to Transform Your Business by Erlend Bakke, Steve Shoulder. Price: Free. Genre: Business &Money Book of the Day, Sponsor, Strategic Planning, Nonfiction, Decision Making, Profit System, Creating Unfair Advantage. Rated: 4.6 stars on 22 Reviews. 268 pages. ASIN: B06ZYB5DST. *The State House Mystery – A Witch Cozy Mystery – The First Story by Kayla Rayne by Kayla Rayne. Price: Free. Genre: Supernatural Mystery of the Day, Sponsor, Witches & Wizards. Rated: 4 stars on 4 Reviews. 64 pages. ASIN: B06XKXCDF8. *Storm Unleashed (Pawns of Heaven Book 2) (Deal, Not Free) by Rainer Süss. Price: $0.99. Genre: Suspense Thriller Deal of the Day, Sponsor, If you like Jean Gray and James Bond. Rated: 5 stars on 1 Reviews. 599 pages. ASIN: B00F23Q7MK. *6-FIGURE SIDEHUSTLE: MAKE MONEY ONLINE DOING SOM0ETHING YOU CARE ABOUT WHILE KEEPING YOUR 9-5 (TO BEGIN WITH) (Deal, Not Free) by Nick Kastrup. Price: $0.99. Genre: Nonfiction Deal of the Day, Sponsor, Marketing, Financial Independence. Rated: 5 stars on 1 Reviews. 100 pages. ASIN: B06ZYNFY92. *The Ericksen Connection by Barry Becker. Price: Free. Genre: Historical Mystery of the Day, Military, Terrorism. Rated: 4.7 stars on 19 Reviews. 321 pages. ASIN: B071XPJMPP. ISBN: 1533383634. *No Greater Love, No Greater Loss: My Pain Revealed (Deal, Not Free) by Isha Johnson. Price: $0.99. Genre: Self Help Deal of the Day, Sponsor, Dealing with Death of a Loved One, Grief, Bereavement, Nonfiction. Rated: 5 stars on 4 Reviews. 86 pages. ASIN: B01EOZYS1S. *Build your Dream Team: Leadership based on a passion for people. (Deal, Not Free) by Candela Iglesias Chiesa. Price: $0.99. Genre: Nonfiction Book Deal of the Day, Sponsor, Business Skills, Self Help, Business Communication, Leadership. Rated: 4.9 stars on 38 Reviews. 202 pages. ASIN: B01NGTUJOK. *Good for the USA Buyer’s Guide 2017: Helping Americans choose the global products that support American jobs by Thomas J Johnson. Price: $0.99. Genre: Nonfiction Deal of the Day, Sponsor, USA Manufactured Goods Buying Guide. Rated: 5 stars on 1 Reviews. 207 pages. ASIN: B06WWFWNQG. *BUDGET TRAVEL – The Ultimate Guide: How I left an international music career, became a Digital Nomad and began exploring the most amazing places on earth – for less than $50 a day….and how YOU can (Deal, Not Free) by Gundi Gabrielle. Price: $0.99. Genre: Nonfiction Book Deal of the Day, Sponsor, How To, Free travel, Cheap Travel. Rated: 4.6 stars on 24 Reviews. 121 pages. ASIN: B01AAMJYQI. *(Mini Box Set Deal, Not Free) Adam Fitzgerald: The Complete Serialized Novel Plus Bonus Content. (Adam Fitzgerald Serial Book 5) (Deal, Not Free) by NT Jenks. Price: $0.99. Genre: Dystopian Science Fiction Mini Box Set Deal of the Day, Sponsor, Genetic Engineering. Rated: 5 stars on 1 Reviews. 350 pages. ASIN: B06XR2HC2X. *Millie’s Angel (Deal, Not Free) by Kim Petersen. Price: $0.99. Genre: Metaphysical & Visionary Fantasy Deal of the Day, Sponsor, Metaphysical Fiction. Rated: 5 stars on 4 Reviews. 294 pages. ASIN: B06WD2XDMH. *Sleeping Duty (Waking Late Book 1) (Deal, Not Free) by Laura Montgomery. Price: $0.99. 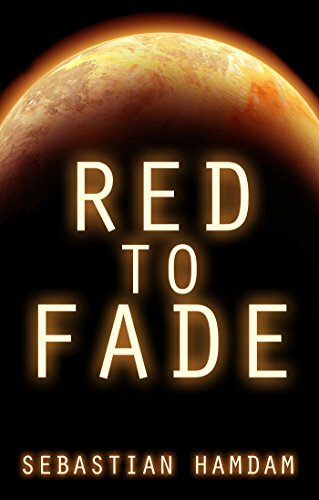 Genre: Military Science Fiction Deal of the Day, Sponsor, Space Exploration, Science Fiction Adventure. Rated: 4.4 stars on 31 Reviews. 208 pages. ASIN: B00Z1Y2QYI. *Chameleon Moon (Deal, Not Free) by RoAnna Sylver. Price: $0.99. Genre: Lesbian Fiction Book Deal of the Day, Sponsor. Rated: 4.9 stars on 23 Reviews. 382 pages. ASIN: B01LW0O7KJ. *Condemned (Julian Mercer Book 1) by G.K. Parks. Price: Free. Genre: Mystery of the Day, Sponsor, Hard-boiled Mystery. Rated: 4.5 stars on 4 Reviews. 273 pages. ASIN: B00VPJ1B8U. *The Siren’s Son (The Siren Legacy Book 1) (Deal, Not Free) by Helen Scott. Price: $0.99. Genre: Adult Romance Deal of the Day, Sponsor, Fantasy Romance, Paranormal Romance. Rated: 4.9 stars on 10 Reviews. 362 pages. ASIN: B06WLJ16ZZ. *The Cheating Boyfriend (And Other Organizational Indiscretions) (Deal, Not Free) by Jenny Hayes. Price: $0.99. Genre: Nonfiction Deal of the Day, Sponsor, Organization Change, Organizational Learning, Business Workplace Health, Business & Money. Rated: 5 stars on 1 Reviews. 52 pages. ASIN: B01NCXX8QH. *Kids On Trump: America’s Children On President Trump (Deal, Not Free) by Marie Korman, F. R.. Price: $0.99. Genre: Children’s Nonfiction Deal of the Day, Sponsor, Non Fiction. Rated: 5 stars on 1 Reviews. 71 pages. ASIN: B06X42DM18. ***(Free For Kindle Unlimited) The Trapped Mind Project (Emerilia Book 1) (Deal, Not Free) by Michael Chatfield. Price: $3.99. Genre: Science Fiction Deal of the Day, Sponsor, Cyberpunk Science Fiction, LitRPG, Gaming. Rated: 4.4 stars on 130 Reviews. 470 pages. ASIN: B01MZD5RQX. *The Sixth Man (Deal, Not Free) by Rupert Colley. Price: $0.99. Genre: Historical Fiction Deal of the Day, Sponsor, War, 1943. Rated: 4.8 stars on 38 Reviews. 214 pages. ASIN: B06Y5756VW. If you like If you like Scarlet Sky or The Nightingale, you’ll love this book. *Prelude To Destiny: Awakening by Fairwren Faust. Price: $0.99. Genre: YA Fantasy Deal of the Day, Sponsor, Sword & Sorcery. Rated: 4.6 stars on 3 Reviews. 364 pages. ASIN: B06XFTK7B8. ***Children’s Book:THE DAY MY MOMMY QUIT! (Funny Rhyming Picture book about a family who learn a lesson, Picture Books, Preschool Books, Ages 3-5, Kids book, … Series-(Beginner Readers Picture Books) 1) (Deal, Not Free) by Kally Mayer, Mindy Liang. Price: $0.99. Genre: Children’s Book Deal of the Day, Sponsor, Nursery Rhymes, Parents, Family Life. Rated: 4.5 stars on 283 Reviews. 34 pages. ASIN: B00FY13MDM. *The Murder (A Zombie Infected Horror Suspense Novel) by Derek Shupert. Price: Free. Genre: Medical Thriller of the Day, Sponsor, Psychological Thriller. Rated: 4.2 stars on 38 Reviews. 213 pages. ASIN: B00VF3AHKO. *I GET YOU: How communication can change your destination by Warren Tate. Price: Free. Genre: Business & Money Book of the Day, Sponsor, Excellent Book Communication, Marketing, Telemarketing, Real Estate, Good Communication. Rated: 5 stars on 8 Reviews. 117 pages. ASIN: B071DJ38TR. *He Will Rule as God: Ancient Israel History, An Old Testament Commentary. Price is: Free. Genres are: Nonfiction Book of the Day, Sponsor, Religion & Spirituality, Sacred Writing. Get Kindle, Mobi or PDF files free. *Reflection: The Stranger in the Mirror (Records of the Ohanzee Book 1) by Rachel R. Smith. Price: Free. Genre: Epic Fantasy of the Day, Sponsor, Magic Realism. Rated: 4.2 stars on 38 Reviews. 265 pages. ASIN: B00XGYO2C4. **Soul Sanctuary: Book Two Of The Spirit Shield Saga by Susan Faw. Price: Free. Genre: Epic Fantasy of the Day, Sponsor, Fairy Tales, Mythology. Rated: 4.7 stars on 50 Reviews. 278 pages. ASIN: B01MTQ0OJH. *I Know Why The Gay Man Dances by Joel Sadler-Puckering. Price: Free. Genre: Gay & Lesbian Poetry of the Day, Sponsor. Rated: 5 stars on 1 Reviews. 39 pages. priceASIN: B06Y5Y9Q6Q. *A Beat in Time (Deal, Not Free) by Sandrine Gasq-Dion. Price: $0.99. Genre: 18+ Rock Star Romance Deal, Sponsor, Firefighter Romance. Rated: 4.5 stars on 22 Reviews. 165 pages. ASIN: B018MJ0V3G. ***Shopping for a Billionaire 1 (Shopping for a Billionaire series) by Julia Kent. Price: Free. Genre: Contemporary Romance, Sponsor, NY Times Bestselling Author, Romantic Comedy. Rated: 4.1 stars on 509 Reviews. 125 pages. ASIN: B00KQBTC3O. NY Times & USA Today Bestselling Author Julia Kent. *Forget Me Not (Loveless and Dunn Series Book 3) by Erika Marks. Price: Free. Genre: Contemporary Romance. Rated: 4.3 stars on 49 Reviews. 156 pages. ASIN: B00XAYFPQM. ***THRONE OF NOVOXOS: VAN LAVEN CHRONICLES by Tyler Chase. Price: Free. Genre: Fantasy Romance, Sponsor. Rated: 4.5 stars on 159 Reviews. 410 pages. ASIN: B00M9QVKWU. ***The Earl’s New Identity (The Regency Renegades Series 1 – Beauty and Titles) (Deal, Not Free) by Jasmine Ashford. Price: $0.99. Genre: Historical Romance Deal, Sponsor. Rated: 4.6 stars on 119 Reviews. 120 pages. ASIN: B06ZY2KKKJ. *Stray Hearts by Jane Graves. Price: Free. Genre: Romance Comedy, Humorous, NY Times Bestselling Author, Contemporary. Rated: 4.4 stars on 20 Reviews.197 pages. ASIN: B00EIMJXXQ. NY Times Bestselling Author Jane Graves. **Unfinished Night — The Complete Duet: Caine & Addison, Books 1 & 2 Box Set (Unfinished Love Series, Bk 1 & 2 Bundle) (Deal, Not Free) by Violet Duke. Price: $0.99. Genre: Adult Romance Box Set Deal, Sponsor, USA Today Bestselling Author. Rated: 4.7 stars on 56 Reviews. 578 pages. ASIN: B06ZZ72RX9. USA Today Bestselling Author Violet Duke. *Plain Crazy (Deal, Not Free) by Dani Jo Love. Price: $0.99. Genre: Adult Romance Deal, Sponsor. Rated: 4.7 stars on 9 Reviews. 227 pages. ASIN: B06XCK4KBL. *Valynn (The Andley Sisters Series, Farmers Daughters Book 2) by Sherri Beth Johnson. Price: Free. Genre: Historical Romance, Inspirational. Rated: 4.7 stars on 9 Reviews. 223 pages. ASIN: B01LYSWARG. ISBN: 1535475420. ***Royal Date (The Royals of Monterra Book 1) (Deal, Not Free) by Sariah Wilson. Price: $0.99. Genre: Clean & Wholesome Romance Deal, Sponsor, Italian Princes, British Rivals. Rated: 4.6 stars on 631 Reviews. 254 pages. ASIN: B00QXUN5Y4. *High Season: The Learnings of Mohammad Wang (Deal, Not Free) by Chazzy Patel. Price: $4.99. Genre: Historical Romance Deal, Sponsor, Ancient World Romance. Rated: 5 stars on 1 Reviews. 180 pages. ASIN: B01NC3F4UJ. Free for Kindle Unlimited. ***Taken By a Trillionaire (Taken by a Trillionaire Series) (Deal, Not Free) by Melody Anne, Ruth Cardello, J.S. Scott. Price: $0.99. Genre: Adult Romance Deal, Sponsor, NY Times Bestselling Authors. Rated: 4.5 stars on 275 Reviews. 240 pages. ASIN: B00O8D1YNM. NY Times & USA Today Bestselling Authors Melody Anne, Ruth Cardello & J.S. Scott. *Taken by Storm (The Taken Book 1) (Deal, Not Free) by Anna Argent. Price: $2.99. Genre: Adult Paranormal Romance Deal, Sponsor, Adult Fantasy Romance. Rated: 4.7 stars on 10 Reviews. 291 pages. ASIN: B01HW1LWL0. *Fall of the House of Queens: Book One Of The Shattered Rose Series (Deal, Not Free) by Shelly Talcott. Price: $4.99. Genre: Historical Fiction Deal, Sponsor, Tudor Period, Court of Henry VIII. Rated: 4.7 stars on 4 Reviews. 309 pages. ASIN: B06XVJTLHX. Free for Kindle Unlimited. ***Cut from the Same Cloth: A Humorous Traditional Regency Romance (My Notorious Aunt Book 3) by Kathleen Baldwin. Price: Free. Genre: Regency Romance, Sponsor, Clean Romance. Rated: 4.3 stars on 333 Reviews. 244 pages. ASIN: B00L4KTTOI. *Wild Side: Book #1 Kari Stillwell Series by Kelly Goode. Price: Free. Genre: Adult Paranormal Romance, Sponsor, Vampires, Shifters. Rated: 4.3 stars on 6 Reviews. 301 pages. ASIN: B00JT1YRUK. *The Siren’s Son (The Siren Legacy Book 1) (Deal, Not Free) by Helen Scott. Price: $0.99. Genre: Adult Romance Deal, Sponsor, Fantasy Romance, Paranormal Romance. Rated: 4.9 stars on 10 Reviews. 362 pages. ASIN: B06WLJ16ZZ. My Nazi Nemesis by Rich DiSilvio. Price: Free. Genre: Historical Romance, German, Jewish, . Rated: 4.1 stars on 48 Reviews. 238 pages. ASIN: B01ADO2UUA. Some Assistance Required by C.L. Ogilvie. Price: Free. Genre: Paranormal Romance, Romantic Comedy. Rated: 4.8 stars on 6 Reviews. 254 pages. ASIN: B01MPVQNJR. *Beginning to End (Deal, Not Free) by Paul Hughes. Price: $2.99. Genre: Crime Thriller Deal, Sponsor, 1960s London. Rated: 5 stars on 1 Reviews. 476 pages. ASIN: B06Y1PM721. *INCOGNOLIO by MICHAEL SUSSMAN. Price is: Free: Genre is: Psychological Thriller, Sponsor. Rated: 5 stars on 1 Reviews. 100 pages. If you like this book, nominate it. If it wins, you get it for free. *PAST TENSE: BOOK ONE OF THE ARCADIA SMITH TRILOGY by MALCOLM MCDONALD. Price: Free. Genre: Mystery, Sponsor, Thriller & Suspense. Rated: 5 stars on 1 Reviews. 194 pages. ASIN: B071CSCKP9. *Dirt by Todd Lincoln Richards. Price: Free. Genre: Crime Thriller, Sponsor, Organized Crimes, Murder. Rated: 5 stars on 6 Reviews. 249 pages. ASIN: B00PQV6NY0. ISBN: 1503264386. *Julia Blake Cozy Murder Mysteries – The Collection by Gillian Larkin. Price: Free. Genre: Cozy Mystery Box Set, Crafts & Hobbies, Anthologies. Rated: 4.7 stars on 11 Reviews. 862 pages. ASIN: B017VZID14. *The State House Mystery – A Witch Cozy Mystery – The First Story by Kayla Rayne by Kayla Rayne. Price: Free. Genre: Supernatural Mystery, Sponsor, Witches & Wizards. Rated: 4 stars on 4 Reviews. 64 pages. ASIN: B06XKXCDF8. *Storm Unleashed (Pawns of Heaven Book 2) (Deal, Not Free) by Rainer Süss. Price: $0.99. Genre: Suspense Thriller Deal, Sponsor, If you like Jean Gray and James Bond. Rated: 5 stars on 1 Reviews. 599 pages. ASIN: B00F23Q7MK. *The Murder (A Zombie Infected Horror Suspense Novel) by Derek Shupert. Price: Free. Genre: Medical Thriller, Sponsor, Psychological Thriller. Rated: 4.2 stars on 38 Reviews. 213 pages. ASIN: B00VF3AHKO. *The Finger Collector: Blood Money (A Jack Gunn Book 1) by Thomas H. Ward. Price: Free. Genre: International Mystery, Murder, Organized Crime. Rated: 5 stars on 5 Reviews. 246 pages. ASIN: B06XRPS59Q. Lost in Static by Christina Philippou. Price: Free. Genre: Psychological Thriller, Contemporary, Women’s Fiction. Rated: 4.3 stars on 15 Reviews. 320 pages. ASIN: B01JDR7OH2. Flesh Evidence (DCI Bennett Book 3) by Malcolm Hollingdrake. Price: Free. Genre: Mystery, Police Procedurals, Crime. Rated: 4.8 stars on 7 Reviews. 212 pages. ASIN: B01MXVPW0O. Braver Than Yesterday by Melissa Rose Bushey. Price: Free. Genre: Suspense, Mystery. Rated: 4.6 stars on 7 Reviews. 167 pages. ASIN: B071CTT184. Vendetta by Craig Gaydas. Price: Free. Genre: Paranormal Suspense, Horror. Rated: 4.5 stars on 6 Reviews. 362 pages. ASIN: B00ED2C5LS. ***The Earl’s New Identity (The Regency Renegades Series 1 – Beauty and Titles) (Deal, Not Free) by Jasmine Ashford. Price: $0.99. Genre: Christian Historical Romance Deal, Sponsor. Rated: 4.6 stars on 119 Reviews. 120 pages. ASIN: B06ZY2KKKJ. *How To Pray And Get Results: Removing the Barriers Blocking Your Prayer Life (Deal, Not Free) by Sheldon D. Newton. Price: $0.99. Genre: Christian Living Book Deal, Sponsor, Faith & Prayer. Rated: 5 stars on 6 Reviews. 176 pages. ASIN: B0118RU31Y. **Above All Else (Sandy Cove Series Book 7) by Rosemary Hines. Price: Free. Genre: Christian Fiction. Rated: 4.9 stars on 68 Reviews. 340 pages. ASIN: B01N9B59GL. *The Wiersbe Bible Study Series: Luke 1-13: Let the World Know That Jesus Cares by Warren W. Wiersbe. Price: Free. Genre: Christian Books, New Testament, Religion & Spirituality. Rated: 4.7 stars on 16 Reviews. 162 pages. ASIN: B00EQNLG64. *Adam Fitzgerald: The Complete Serialized Novel Plus Bonus Content. (Adam Fitzgerald Serial Book 5) (Deal, Not Free) by NT Jenks. Price: $0.99. Genre: Dystopian Science Fiction Mini Box Set Deal, Sponsor, Genetic Engineering. Rated: 5 stars on 1 Reviews. 350 pages. ASIN: B06XR2HC2X. *Sleeping Duty (Waking Late Book 1) (Deal, Not Free) by Laura Montgomery. Price: $0.99. Genre: Military Science Fiction Deal, Sponsor, Space Exploration, Science Fiction Adventure. Rated: 4.4 stars on 31 Reviews. 208 pages. ASIN: B00Z1Y2QYI. ***The Trapped Mind Project (Emerilia Book 1) (Deal, Not Free) by Michael Chatfield. Price: $3.99. Genre: Science Fiction Deal, Sponsor, Cyberpunk Science Fiction, LitRPG, Gaming. Rated: 4.4 stars on 130 Reviews. 470 pages. ASIN: B01MZD5RQX. Free for Kindle Unlimited. The Officer Cadet by J. P. Wyman. Price: Free. Genre: Science Fiction, Adventure. Rated: 4.6 stars on 6 Reviews. 291 pages. ASIN: B017OKIT1A. Revelation: Prequel Novella to the Malfunction Trilogy by J.E. Purrazzi. Price: Free. Genre: Cyberpunk Science Fiction, Genetic Engineering Science Fiction, Post-Apocalyptic Science Fiction. Rated: 4.7 stars on 5 Reviews. 200 pages. ASIN: B0722FN6H7. *Fairy Wings: A Supernatural Freak prequel (Deal, Not Free) by Louisa Klein, Lori Aronsohn. Price: $0.99. Genre: Fantasy Deal, Sponsor, Paranormal & Urban Fantasy. Rated: 5 stars on 1 Reviews. 315 pages. ASIN: B06XJS1L6B. *Deep in the Hollow by Brandy Nacole. Price: Free. Genre: Fantasy, Paranormal & Urban, Ghosts. Rated: 4.5 stars on 16 Reviews. 232 pages. ASIN: B014U7BMU0. *Millie’s Angel (Deal, Not Free) by Kim Petersen. Price: $0.99. Genre: Metaphysical & Visionary Fantasy Deal, Sponsor, Metaphysical Fiction. Rated: 5 stars on 4 Reviews. 294 pages. ASIN: B06WD2XDMH. *Reflection: The Stranger in the Mirror (Records of the Ohanzee Book 1) by Rachel R. Smith. Price: Free. Genre: Epic Fantasy, Sponsor, Magic Realism. Rated: 4.2 stars on 38 Reviews. 265 pages. ASIN: B00XGYO2C4. **Soul Sanctuary: Book Two Of The Spirit Shield Saga by Susan Faw. Price: Free. Genre: Epic Fantasy, Sponsor, Fairy Tales, Mythology. Rated: 4.7 stars on 50 Reviews. 278 pages. ASIN: B01MTQ0OJH. *The Touch: A Supernatural Story – Part I (Deal, Not Free) by Robert Flynn III. Price: $5.99. Genre: Occult Horror Deal, Sponsor, Supernatural, Science Fiction. Rated: 4.4 stars on 3 Reviews. 382 pages. ASIN: B06VTXNRNY. Free for Kindle Unlimited. The Halloween Girl by Jeff O’Brien. Price: Free. Genre: Horror. Rated: 4.8 stars on 6 Reviews. 177 pages. ASIN: B01CM2YPI6. ISBN: 1530383765. *High Season: The Learnings of Mohammad Wang (Deal, Not Free) by Chazzy Patel. Price: $4.99. Genre: Historical Romance Deal, Sponsor, Ancient World Romance. Rated: 5 stars on 1 Reviews. 180 pages. ASIN: B01NC3F4UJ. *The Sixth Man (Deal, Not Free) by Rupert Colley. Price: $0.99. Genre: Historical Fiction Deal, Sponsor, War, 1943. Rated: 4.8 stars on 38 Reviews. 214 pages. ASIN: B06Y5756VW. If you like If you like Scarlet Sky or The Nightingale, you’ll love this book. *Never Fear the Reaper (A Never Fear the Reaper Series Book 1) (Deal, Not Free) by Ashley Pagano. Price: $2.99. Genre: YA Paranormal Romance Deal, Sponsor, YA. Rated: 5 stars on 2 Reviews. 120 pages. ASIN: B06XQPSF8G. *The Bad Girl and The Good Boy by Karla Luna. Price: Free. Genre: YA Romance, Humorous, Satire. Rated: 4.6 stars on 44 Reviews. 811 pages. ASIN: B00REGFPC6. ISBN: 1680308483. *I Am Human: When Aliens invade, two teens must decide – What makes us Human? (Deal, Not Free) by R.L. Burke. Price: $0.99. Genre: Clean YA Fiction Deal, Sponsor, YA Science Fiction, YA Dystopian Science Fiction. Rated: 5 stars on 3 Reviews. 308 pages. ASIN: B06XXQRHDP. *Prelude To Destiny: Awakening by Fairwren Faust. Price: $0.99. Genre: YA Fantasy Deal, Sponsor, Sword & Sorcery. Rated: 4.6 stars on 3 Reviews. 364 pages. ASIN: B06XFTK7B8. *Ember (Keeper of the Fae Book 1) by Heather Anne. Price: Free. Genre: YA Fantasy, Fairy Tales & Folklore, Paranormal. Rated: 5 stars on 5 Reviews. 161 pages. ASIN: B016E7VSP8. The Bound: Hers To Save Part One by Michelle Connor. Price: Free. Genre: YA Fantasy, Sword & Sorcery. Rated: 4.2 stars on 15 Reviews. 176 pages. ASIN: B06XDFSFFX. A Time To Kill (Elemental Rage Book 1) by Jeanette Raleigh. Price: Free. Genre: Dark Fantasy, Coming of Age, Paranormal & Urban. Rated: 4.5 stars on 4 Reviews. 220 pages. ASIN: B01IPDDLTU. *Mystery on Macomber Hill (Deal, Not Free) by John Balser. Price: $0.99. Genre: Children’s Mysteries & Detectives Deal, Sponsor. Rated: 4.8 stars on 6 Reviews. 156 pages. ASIN: B00V6KLHTG. *If I Could Climb Trees (Nuggies Book 5) (Deal, Not Free) by Jeff Minich. Price: $3.98. Genre: Children’s Book Deal, Sponsor, Puppies, Nuggies. Rated: 4.8 stars on 10 Reviews. 17 pages. ASIN: B06XD1S3LQ. Read more about Nuggies here! *Stealing Magic (The Legacy of Androva Book 1) by Alex C Vick. Price: Free. Genre: Children’s Books, Fantasy & Magic, Paranormal & Urban. Rated: 4.6 stars on 9 Reviews. 252 pages. ASIN: B01LXQEPYR. ISBN: 1539743462. *Kids On Trump: America’s Children On President Trump (Deal, Not Free) by Marie Korman, F. R.. Price: $0.99. Genre: Children’s Nonfiction Deal, Sponsor, Non Fiction. Rated: 5 stars on 1 Reviews. 71 pages. ASIN: B06X42DM18. ***Children’s Book:THE DAY MY MOMMY QUIT! (Funny Rhyming Picture book about a family who learn a lesson, Picture Books, Preschool Books, Ages 3-5, Kids book, … Series-(Beginner Readers Picture Books) 1) (Deal, Not Free) by Kally Mayer, Mindy Liang. Price: $0.99. Genre: Children’s Book Deal, Sponsor, Nursery Rhymes, Parents, Family Life. Rated: 4.5 stars on 283 Reviews. 34 pages. ASIN: B00FY13MDM. **Red Runs the Plain (The Plains Series Book 1) by W.R. Benton. Price: Free. Genre: Action & Adventure, Westerns. Rated: 4.7 stars on 54 Reviews. 312 pages. ASIN: B00CEKJGI6. ***The Envelope (Texas Hearts Book 1) by Emily Josephine. Price: Free. Genre: Clean Romance, Sponsor, Inspirational. Rated: 4.6 stars on 205 Reviews. 286 pages. ASIN: B008KFBBVE. *Across The Plane: Tom Carpenter’s Journey (Deal, Not Free) by Jake Pixley. Price: $0.99. Genre: Contemporary Fiction Deal, Sponsor. Rated: 5 stars on 1 Reviews. 90 pages. ASIN: B06Y59GFF5. *Letters from a Shipwreck in the Sea of Suns and Moons by Raymond St. Elmo. Price: Free. Genre: Literary, Action & Adventure, Magical Realism. Rated: 5 stars on 7 Reviews. 285 pages. ASIN: B01JE4YIBY. ***Make Me Forget (It’s Kind Of Personal Book 1) by Anna Brooks. Price: Free. Genre: Adult Women’s Fiction, Sponsor, Psychological Fiction. Rated: 4.5 stars on 147 Reviews. 291 pages. ASIN: B00P5UO434. ***The Bridge Club: A Novel (Deal, Not Free) by Patricia Sands. Price: $0.99. Genre: Women’s Fiction Book Deal, Sponsor, National Indie Excellence Award Winner, Contemporary Women. Rated: 4 stars on 115 Reviews. 398 pages. ASIN: B005W81TEQ. **Feelin’ Some Type of Way by KC Mills. Price: Free. Genre: African American Romance, Urban. Rated: 4.9 stars on 86 Reviews. 186 pages. ASIN: B01MZ598KB. Bad & Boujee by Mercedez. Price: Free. Genre: Women’s Fiction, Urban. Rated: 4.1 stars on 19 Reviews. 153 pages. ASIN: B01MZCX87R. *Heaven & Jae (The Beginning) by Lady Trice. Price: Free. Genre: African American Women’s Fiction, Urban Life. Rated: 4.5 stars on 31 Reviews. 139 pages. ASIN: B06Y2DTHMX. *Crazy Bout this Block Boy by Andrea. Price: Free. Genre: African American Romance, Urban. Rated: 4.9 stars on 29 Reviews. 173 pages. ASIN: B01M1DEAIY. *Chameleon Moon (Deal, Not Free) by RoAnna Sylver. Price: $0.99. Genre: Lesbian Fiction Book Deal, Sponsor. Rated: 4.9 stars on 23 Reviews. 382 pages. ASIN: B01LW0O7KJ. *I Know Why The Gay Man Dances by Joel Sadler-Puckering. Price: Free. Genre: Gay & Lesbian Poetry, Sponsor. Rated: 5 stars on 1 Reviews. 39 pages. priceASIN: B06Y5Y9Q6Q. *The Power Of The V by Shatika Turner. Price: Free. Genre: Gay Fiction, Anthologies, LGBT. Rated: 4.9 stars on 14 Reviews. 173 pages. ASIN: B01K4XO03K. *The Beast That Never Was by Caren J. Werlinger. Price: Free. Genre: Lesbian Fiction, Fairy Tales Fantasy, Mythology Fiction. Rated: 4.4 stars on 33 Reviews. 211 pages. ASIN: B01G0KP0V2. The Space Between Our Hearts by Kat Evans. Price: Free. Genre: Lesbian Romance, Sports, Lesbian Fiction. Rated: 4.3 stars on 25 Reviews. 162 pages. ASIN: B01E7IQSA6. Deadhead (Damned, Girl! Book 1) (Repeat) by Clare Kauter. Price: Free. Genre: Humor, Ghosts, Witches & Wizards. Rated: 4.3 stars on 23 Reviews. 234 pages. ASIN: B00V4XP0ZM. *The Mindfulness Approach: To Eliminate or Reduce Symptoms of Stress-Related Illnesses by Dean Nelson. Price: Free. Genre: Nonfiction Book, Sponsor, Mindfulness, Health. Rated: 5 stars on 8 Reviews, 166 pages. ASIN: B01MXLVT6W. *Drinking Buttermilk: A Eulogy for an American Pastime by Peter Rice. Price: Free. Genre: Cookbooks, Food & Wine, Cooking Education & Reference, Essays. Rated: 5 stars on 6 Reviews. 154 pages. ASIN: B003Y74HIC. Progressive Calisthenics: 23 Amazing Calisthenics Exercises to Build Strength, Shape Your Body, and Stay Fit by Roy Owens. Price: Free. Genre: Health, Fitness & Dieting, Exercise & Fitness. Rated: 4.8 stars on 4 Reviews. 53 pages. ASIN: B01NAIL2GP. 99 Creative Ways to Propose: Romantic Ideas and Places to Pop the Question (How to Propose, Proposal Ideas, Ask Her to Marry You, Romantic Proposal Ideas, Creative Proposals) by V. Noot. Price: Free. Genre: Health, Fitness & Dieting, Relationships, Marriage & Long-Term Relationships. Rated: 4.8 stars on 4 Reviews. 44 pages. ASIN: B00T7U8E9I. How I Quit Smoking With Mushrooms by William Owl. Price: Free. Genre: Health, Fitness & Dieting, Addiction & Recovery, Smoking. Rated: 4.7 stars on 4 Reviews. 30 pages. ASIN: B01M0OPKFT. Easy Crepe Cookbook: 50 Delicious Crepe Recipes (Crepe Recipes, Crepe Cookbook, Breakfast Recipes, Breakfast Cookbook Book 1) by Chef Maggie Chow. Price: Free. Genre: Cookbooks, Food & Wine, Desserts, Confectionary. Rated: 4.6 stars on 6 Reviews. 184 pages. ASIN: B01DRF0ZD6. *Navigating the Road of Infertility (Deal, Not Free) by Chrissie Kahan, Aaron Kahan. Price: $2.99. Genre: Biographies & Memoirs Book Deal, Sponsor, Non Fiction. Rated: 4.7 stars on 35 Reviews. 183 pages. ASIN: B01M4Q0PKE. Free for Kindle Unlimited. *No Greater Love, No Greater Loss: My Pain Revealed (Deal, Not Free) by Isha Johnson. Price: $0.99. Genre: Self Help Deal, Sponsor, Dealing with Death of a Loved One, Grief, Bereavement, Nonfiction. Rated: 5 stars on 4 Reviews. 86 pages. ASIN: B01EOZYS1S. *More Than a Soldier: One Army Ranger’s Daring Escape From the Nazis by D.M. Annechino. Price: Free. Genre: Biographies & Memoirs, Leaders & Notable People, Historical, Military & Wars, World War II. Rated: 5 stars on 7 Reviews. 316 pages. ASIN: B06Y6GXRYB. *Keep Moving Forward: Memoirs of An Abandoned Child and His Triumph Over Abuse and ADHD by R. Richard McMullen. Price: Free. Genre: Biographies & Memoirs, Memoirs. Rated: 5 stars on 4 Reviews. 188 pages. ASIN: B01NCZDK99. *Nothing’s Changed But My Change by Jeremy Schoemaker, Kate Sprouse. Price: Free. Genre: Biographies & Memoirs, Professionals & Academics, Educators. Rated: 4.2 stars on 73 Reviews. 274 pages. ASIN: B00AU6AY1Y. Haitian Revolution: A History From Beginning to End by Hourly History. Price: Free. Genre: History, Americas, Caribbean & West Indies, Haiti. Rated: 4.2 stars on 12 Reviews. 52 pages. ASIN: B01NAIADQK. *How To Waste Money Self Publishing (Deal, Not Free) by Bob Kern. Price: $0.99. Genre: Nonfiction Book Deal, Sponsor, Business & Money, Entrepreneurship, How to Spend Money Wisely for Authors. Rated: 5 stars on 1 Reviews. 56 pages. ASIN: B01MS903RJ. *The House of You: Built for a Purpose. Structured for His Plan. by Michelle Renee Chudy. Price: Free. Genre: Self-Help, Spiritual. Rated: 5 stars on 5 Reviews. 41 pages. ASIN: B01GP9ZDVK. *THE PERCEPTIONIST (Deal, Not Free) by MANISH VOHRA. Price: $5.39. Genre: Nonfiction Book Deal, Sponsor, Self Help, The Path to Self-Discovery, Transcend Your Limitations, Human Psychology, Vision, Common Sense, Business & Money. Rated: 5 stars on 2 Reviews. 103 pages. ASIN: B012GZXWAG. *Mind Bent: The Power To Alter Your Reality (Deal, Not Free) by Jesse Castaneda Jr. Price: $9.99. Genre: Nonfiction Deal, Sponsor, Alter Your Reality, Manifest, Secret Knowledge, New Age, Create a Better Future for Yourself. Rated: 5 stars on 1 Reviews. 83 pages. ASIN: B0722DC52P. *Make Money As A Ghostwriter: How to Level Up Your Freelance Writing Business and Land Clients You Love by Sally Miller, Cruz Santana. Price: Free. Genre: Nonfiction Book, Sponsor, Entrepreneurship, Make a Living as a Ghostwriter, Freelance Writing Business. Rated: 5 stars on 12 Reviews. 83 pages. ASIN: B071YDKW1D. *90 Days To Profit: A Proven System to Transform Your Business by Erlend Bakke, Steve Shoulder. Price: Free. Genre: Business &Money Book, Sponsor, Strategic Planning, Nonfiction, Decision Making, Profit System, Creating Unfair Advantage. Rated: 4.6 stars on 22 Reviews. 268 pages. ASIN: B06ZYB5DST. **Stupidparty Math v. Myth: Unmasking the Destructive Forces Eroding American Democracy (Deal, Not Free) by Patrick Andendall. Price: $0.99. Genre: Nonfiction Book Deal, Sponsor, Political Freedom, Practical Politics. Rated: 4.2 stars on 96 Reviews. 408 pages. ASIN: B00NYBTRDI. *Build your Dream Team: Leadership based on a passion for people. (Deal, Not Free) by Candela Iglesias Chiesa. Price: $0.99. Genre: Nonfiction Book Deal, Sponsor, Business Skills, Self Help, Business Communication, Leadership. Rated: 4.9 stars on 38 Reviews. 202 pages. ASIN: B01NGTUJOK. *Good for the USA Buyer’s Guide 2017: Helping Americans choose the global products that support American jobs by Thomas J Johnson. Price: $0.99. Genre: Nonfiction Deal, Sponsor, USA Manufactured Goods Buying Guide. Rated: 5 stars on 1 Reviews. 207 pages. ASIN: B06WWFWNQG. *He Will Rule as God: Ancient Israel History, An Old Testament Commentary. Price is: Free. Genres are: Nonfiction Book, Sponsor, Religion & Spirituality, Sacred Writing. Get Kindle, Mobi or PDF files free. Daily Meditation: How to Use Daily Meditation to Achieve Your Fitness Goals by Alex A. Michaels. Price: Free. Genre: Self-Help, Success. Rated: 4.6 stars on 5 Reviews. ASIN: B071R9973D. Confidence For Men: 24 Confidence Boosting Strategies by Charlie Valentino. Price: Free. Genre: Self-Help, Happiness, Motivational. Rated: 4.2 stars on 19 Reviews. 158 pages. ASIN: B0079O01XG. Whatever Sticks Most by Darren Hogarth . Price: Free. Genre: Self-Help, Personal Transformation. Rated: 4.1 stars on 8 Reviews. 330 pages. ASIN: B007W39MRK. **How to Shoot a Handgun: Step-by-Step Pictorial Guide for Beginners by Jake Maloney. Price: Free. Genre: Crafts, Hobbies & Home, Crafts & Hobbies. Rated: 4.4 stars on 114 Reviews. 86 pages. ASIN: B00BG1VQJQ. *The Cheating Boyfriend (And Other Organizational Indiscretions) (Deal, Not Free) by Jenny Hayes. Price: $0.99. Genre: Nonfiction Deal, Sponsor, Organization Change, Organizational Learning, Business Workplace Health, Business & Money. Rated: 5 stars on 1 Reviews. 52 pages. ASIN: B01NCXX8QH. *Ecuador Road Trip: An Insider’s Guide to Planning an Amazing Adventure by Jessamyn Salinas. Price: Free. Genre: Travel, South America, Ecuador & Galapagos Islands. Rated: 5 stars on 6 Reviews. ASIN: B071NC5WY4. *6-FIGURE SIDEHUSTLE: MAKE MONEY ONLINE DOING SOM0ETHING YOU CARE ABOUT WHILE KEEPING YOUR 9-5 (TO BEGIN WITH) (Deal, Not Free) by Nick Kastrup. Price: $0.99. Genre: Nonfiction Deal, Sponsor, Marketing, Financial Independence. Rated: 5 stars on 1 Reviews. 100 pages. ASIN: B06ZYNFY92. *I GET YOU: How communication can change your destination by Warren Tate. Price: Free. Genre: Business & Money Book, Sponsor, Excellent Book Communication, Marketing, Telemarketing, Real Estate, Good Communication. Rated: 5 stars on 8 Reviews. 117 pages. ASIN: B071DJ38TR. *What’s Next? : The most important career guide to help you find the right job, be more confident and achieve career success by Mohamed Hanbal. Price: Free. Genre: Business & Money, Job Hunting & Careers, Job Hunting. Rated: 5 stars on 11 Reviews. 73 pages. ASIN: B06ZZXBMC3. *Fintech in a Flash: Financial Technology Made Easy by Agustin Rubini. Price: Free. Genre: Business & Money, Industries, Banks & Banking, Computers & Technology, Systems Analysis & Design. Rated: 5 stars on 4 Reviews. 262 pages. ASIN: B06Y1N5476. *Instagram Marketing: A Guide to Building Your Brand, Getting as many followers as you want, and attracting an Engaging Audience by Peter Chandler. Price: Free. Genre: Business & Money, Marketing & Sales, Marketing, Computers & Technology, Business Technology, Web Marketing. Rated: 5 stars on 4 Reviews. 55 pages. ASIN: B06ZYNZRT5. *Ballin’ On A Budget: Smart Money Moves To Enhance Your Savings by ANGEL RADCLIFFE. Price: Free. Genre: Business & Money, Personal Finance, Budgeting & Money Management. Rated: 4.5 stars on 14 Reviews. 123 pages. ASIN: B01M4NNP3X. Disruption: How Successful People Use Social Media for Business by Randy Milanovic, Gina Fiedel, Vincent Messina, David Kutcher. Price: Free. Genre: Business & Money, Marketing & Sales, Marketing. Rated: 4.8 stars on 9 Reviews. 54 pages. ASIN: B00YZ4V4WK. ***The Earl’s New Identity (The Regency Renegades Series 1 – Beauty and Titles) (Deal, Not Free) by Jasmine Ashford. Cost: $0.99. Genre: Christian Historical Romance Deal, Sponsor. Rated: 4.6 stars on 119 Reviews. 120 pages. ASIN: B06ZY2KKKJ. **(Box Set Deal, Not Free) Unfinished Night — The Complete Duet: Caine & Addison, Books 1 & 2 Box Set (Unfinished Love Series, Bk 1 & 2 Bundle) (Deal, Not Free) by Violet Duke. Cost: $0.99. Genre: Adult Romance Box Set Deal, Sponsor, USA Today Bestselling Author. Rated: 4.7 stars on 56 Reviews. 578 pages. ASIN: B06ZZ72RX9. USA Today Bestselling Author Violet Duke. *Fairy Wings: A Supernatural Freak prequel (Deal, Not Free) by Louisa Klein, Lori Aronsohn. Cost: $0.99. Genre: Fantasy Deal, Sponsor, Paranormal & Urban Fantasy. Rated: 5 stars on 1 Reviews. 315 pages. ASIN: B06XJS1L6B. *Plain Crazy (Deal, Not Free) by Dani Jo Love. Cost: $0.99. Genre: Adult Romance Deal, Sponsor. Rated: 4.7 stars on 9 Reviews. 227 pages. ASIN: B06XCK4KBL. ***Royal Date (The Royals of Monterra Book 1) (Deal, Not Free) by Sariah Wilson. Cost: $0.99. Genre: Clean & Wholesome Romance Deal, Sponsor, Italian Princes, British Rivals. Rated: 4.6 stars on 631 Reviews. 254 pages. ASIN: B00QXUN5Y4. *How To Waste Money Self Publishing (Deal, Not Free) by Bob Kern. Cost: $0.99. Genre: Nonfiction Book Deal, Sponsor, Business & Money, Entrepreneurship, How to Spend Money Wisely for Authors. Rated: 5 stars on 1 Reviews. 56 pages. ASIN: B01MS903RJ. *Across The Plane: Tom Carpenter’s Journey (Deal, Not Free) by Jake Pixley. Cost: $0.99. Genre: Contemporary Fiction Deal, Sponsor. Rated: 5 stars on 1 Reviews. 90 pages. ASIN: B06Y59GFF5. *Never Fear the Reaper (A Never Fear the Reaper Series Book 1) (Deal, Not Free) by Ashley Pagano. Cost: $2.99. Genre: YA Paranormal Romance Deal, Sponsor, YA Fantasy. Rated: 5 stars on 2 Reviews. 120 pages. ASIN: B06XQPSF8G. ***The Bridge Club: A Novel (Deal, Not Free) by Patricia Sands. Cost: $0.99. Genre: Women’s Fiction Book Deal, Sponsor, National Indie Excellence Award Winner, Contemporary Women. Rated: 4 stars on 115 Reviews. 398 pages. ASIN: B005W81TEQ. *Mystery on Macomber Hill (Deal, Not Free) by John Balser. Cost: $0.99. Genre: Children’s Mysteries & Detectives Deal, Sponsor. Rated: 4.8 stars on 6 Reviews. 156 pages. ASIN: B00V6KLHTG. *Lake of Destiny: A Celtic Legends Novel (Deal, Not Free) by Martina Boone. Cost: $1.99. Genre: Contemporary Romance Deal, Sponsor. Rated: 4.9 stars on 10 Reviews. 336 pages. ASIN: B01N4WMDDM. *Beginning to End (Deal, Not Free) by Paul Hughes. Cost: $2.99. Genre: Crime Thriller Deal, Sponsor, 1960s London. Rated: 5 stars on 1 Reviews. 476 pages. ASIN: B06Y1PM721. *(Free For Kindle Unlimited) High Season: The Learnings of Mohammad Wang (Deal, Not Free) by Chazzy Patel. Cost: $4.99. Genre: Historical Romance Deal, Sponsor, Ancient World Romance. Rated: 5 stars on 1 Reviews. 180 pages. ASIN: B01NC3F4UJ. *(Free For Kindle Unlimited) One Per Coffin (Deal, Not Free) by Tony Block. Cost: $3.99. Genre: Mystery Deal, Sponsor, Thriller. Rated: 5 stars on 3 Reviews. 100 pages. ASIN: B06XP953GT. ***Taken By a Trillionaire (Taken by a Trillionaire Series) (Deal, Not Free) by Melody Anne, Ruth Cardello, J.S. Scott. Cost: $0.99. Genre: Adult Romance Deal, Sponsor, NY Times Bestselling Authors. Rated: 4.5 stars on 275 Reviews. 240 pages. ASIN: B00O8D1YNM. NY Times & USA Today Bestselling Authors Melody Anne, Ruth Cardello & J.S. Scott. *Taken by Storm (The Taken Book 1) (Deal, Not Free) by Anna Argent. Cost: $2.99. Genre: Adult Paranormal Romance Deal, Sponsor, Adult Fantasy Romance. Rated: 4.7 stars on 10 Reviews. 291 pages. ASIN: B01HW1LWL0. *Shopping for a CEO’s Wife (Shopping for a Billionaire Book 12) (Deal, Not Free) by Julia Kent. Cost: $3.99. Genre: Contemporary Romance Deal, Sponsor, NY Times Bestselling Author, Romantic Comedy. Rated: 5 stars on 44 Reviews. 284 pages. ASIN: B01NH9LRL4. NY Times & USA Today Bestselling Author Julia Kent. *Never Is A Very Long Time: A Romantic Comedy With Attitude (The Perfect Date Book 1) (Deal, Not Free) by Donna McDonald. Cost: $2.99. Genre: Clean & Wholesome Romance Deal, Sponsor, Inspirational Romance. Rated: 4.9 stars 22 Reviews. 171 pages. ASIN: B06Y16CN4B. *THE PERCEPTIONIST (Deal, Not Free) by MANISH VOHRA. Cost: $5.39. Genre: Nonfiction Book Deal, Sponsor, Self Help, The Path to Self-Discovery, Transcend Your Limitations, Human Psychology, Vision, Common Sense, Business & Money. Rated: 5 stars on 2 Reviews. 103 pages. ASIN: B012GZXWAG. *(Free For Kindle Unlimited) Navigating the Road of Infertility (Deal, Not Free) by Chrissie Kahan, Aaron Kahan. Cost: $2.99. Genre: Biographies & Memoirs Book Deal, Sponsor, Non Fiction. Rated: 4.7 stars on 35 Reviews. 183 pages. ASIN: B01M4Q0PKE. *Mind Bent: The Power To Alter Your Reality (Deal, Not Free) by Jesse Castaneda Jr. Cost: $9.99. Genre: Nonfiction Deal, Sponsor, Alter Your Reality, Manifest, Secret Knowledge, New Age, Create a Better Future for Yourself. Rated: 5 stars on 1 Reviews. 83 pages. ASIN: B0722DC52P. *(Free for Kindle Unlimited) Fall of the House of Queens: Book One Of The Shattered Rose Series (Deal, Not Free) by Shelly Talcott. Cost: $4.99. Genre: Historical Fiction Deal, Sponsor, Tudor Period, Court of Henry VIII. Rated: 4.7 stars on 4 Reviews. 309 pages. ASIN: B06XVJTLHX. *(Free For Kindle Unlimited) The Touch: A Supernatural Story – Part I (Deal, Not Free) by Robert Flynn III. Cost: $5.99. Genre: Occult Horror Deal, Sponsor, Supernatural, Science Fiction. Rated: 4.4 stars on 3 Reviews. 382 pages. ASIN: B06VTXNRNY. *(Free For Kindle Unlimited) If I Could Climb Trees (Nuggies Book 5) (Deal, Not Free) by Jeff Minich. Cost: $3.98. Genre: Children’s Book Deal, Sponsor, Puppies, Nuggies. Rated: 4.8 stars on 10 Reviews. 17 pages. ASIN: B06XD1S3LQ. Read more about Nuggies here! *Storm Unleashed (Pawns of Heaven Book 2) (Deal, Not Free) by Rainer Süss. Cost: $0.99. Genre: Suspense Thriller Deal, Sponsor, If you like Jean Gray and James Bond. Rated: 5 stars on 1 Reviews. 599 pages. ASIN: B00F23Q7MK. *6-FIGURE SIDEHUSTLE: MAKE MONEY ONLINE DOING SOM0ETHING YOU CARE ABOUT WHILE KEEPING YOUR 9-5 (TO BEGIN WITH) (Deal, Not Free) by Nick Kastrup. Cost: $0.99. Genre: Nonfiction Deal, Sponsor, Marketing, Financial Independence. Rated: 5 stars on 1 Reviews. 100 pages. ASIN: B06ZYNFY92. *No Greater Love, No Greater Loss: My Pain Revealed (Deal, Not Free) by Isha Johnson. Cost: $0.99. Genre: Self Help Deal, Sponsor, Dealing with Death of a Loved One, Grief, Bereavement, Nonfiction. Rated: 5 stars on 4 Reviews. 86 pages. ASIN: B01EOZYS1S. **Stupidparty Math v. Myth: Unmasking the Destructive Forces Eroding American Democracy (Deal, Not Free) by Patrick Andendall. Cost: $0.99. Genre: Nonfiction Book Deal, Sponsor, Political Freedom, Practical Politics. Rated: 4.2 stars on 96 Reviews. 408 pages. ASIN: B00NYBTRDI. *Build your Dream Team: Leadership based on a passion for people. (Deal, Not Free) by Candela Iglesias Chiesa. Cost: $0.99. Genre: Nonfiction Book Deal, Sponsor, Business Skills, Self Help, Business Communication, Leadership. Rated: 4.9 stars on 38 Reviews. 202 pages. ASIN: B01NGTUJOK. *Good for the USA Buyer’s Guide 2017: Helping Americans choose the global products that support American jobs by Thomas J Johnson. Cost: $0.99. Genre: Nonfiction Deal, Sponsor, USA Manufactured Goods Buying Guide. Rated: 5 stars on 1 Reviews. 207 pages. ASIN: B06WWFWNQG. *BUDGET TRAVEL – The Ultimate Guide: How I left an international music career, became a Digital Nomad and began exploring the most amazing places on earth – for less than $50 a day….and how YOU can (Deal, Not Free) by Gundi Gabrielle. Cost: $0.99. Genre: Nonfiction Book Deal, Sponsor, How To, Free travel, Cheap Travel. Rated: 4.6 stars on 24 Reviews. 121 pages. ASIN: B01AAMJYQI. *How To Pray And Get Results: Removing the Barriers Blocking Your Prayer Life (Deal, Not Free) by Sheldon D. Newton. Cost: $0.99. Genre: Christian Living Book Deal, Sponsor, Faith & Prayer. Rated: 5 stars on 6 Reviews. 176 pages. ASIN: B0118RU31Y. *(Mini Box Set Deal, Not Free) Adam Fitzgerald: The Complete Serialized Novel Plus Bonus Content. (Adam Fitzgerald Serial Book 5) (Deal, Not Free) by NT Jenks. Cost: $0.99. Genre: Dystopian Science Fiction Mini Box Set Deal, Sponsor, Genetic Engineering. Rated: 5 stars on 1 Reviews. 350 pages. ASIN: B06XR2HC2X. *Millie’s Angel (Deal, Not Free) by Kim Petersen. Cost: $0.99. Genre: Metaphysical & Visionary Fantasy Deal, Sponsor, Metaphysical Fiction. Rated: 5 stars on 4 Reviews. 294 pages. ASIN: B06WD2XDMH. *Sleeping Duty (Waking Late Book 1) (Deal, Not Free) by Laura Montgomery. Cost: $0.99. Genre: Military Science Fiction Deal, Sponsor, Space Exploration, Science Fiction Adventure. Rated: 4.4 stars on 31 Reviews. 208 pages. ASIN: B00Z1Y2QYI. *I Am Human: When Aliens invade, two teens must decide – What makes us Human? (Deal, Not Free) by R.L. Burke. Cost: $0.99. Genre: Clean YA Fiction Deal, Sponsor, YA Science Fiction, YA Dystopian Science Fiction. Rated: 5 stars on 3 Reviews. 308 pages. ASIN: B06XXQRHDP. *Chameleon Moon (Deal, Not Free) by RoAnna Sylver. Cost: $0.99. Genre: Lesbian Fiction Book Deal, Sponsor. Rated: 4.9 stars on 23 Reviews. 382 pages. ASIN: B01LW0O7KJ. *The Siren’s Son (The Siren Legacy Book 1) (Deal, Not Free) by Helen Scott. Cost: $0.99. Genre: Adult Romance Deal, Sponsor, Fantasy Romance, Paranormal Romance. Rated: 4.9 stars on 10 Reviews. 362 pages. ASIN: B06WLJ16ZZ. *The Cheating Boyfriend (And Other Organizational Indiscretions) (Deal, Not Free) by Jenny Hayes. Cost: $0.99. Genre: Nonfiction Deal, Sponsor, Organization Change, Organizational Learning, Business Workplace Health, Business & Money. Rated: 5 stars on 1 Reviews. 52 pages. ASIN: B01NCXX8QH. *Kids On Trump: America’s Children On President Trump (Deal, Not Free) by Marie Korman, F. R.. Cost: $0.99. Genre: Children’s Nonfiction Deal, Sponsor, Non Fiction. Rated: 5 stars on 1 Reviews. 71 pages. ASIN: B06X42DM18. ***(Free For Kindle Unlimited) The Trapped Mind Project (Emerilia Book 1) (Deal, Not Free) by Michael Chatfield. Cost: $3.99. Genre: Science Fiction Deal, Sponsor, Cyberpunk Science Fiction, LitRPG, Gaming. Rated: 4.4 stars on 130 Reviews. 470 pages. ASIN: B01MZD5RQX. *The Sixth Man (Deal, Not Free) by Rupert Colley. Cost: $0.99. Genre: Historical Fiction Deal, Sponsor, War, 1943. Rated: 4.8 stars on 38 Reviews. 214 pages. ASIN: B06Y5756VW. If you like If you like Scarlet Sky or The Nightingale, you’ll love this book. *Prelude To Destiny: Awakening by Fairwren Faust. Cost: $0.99. Genre: YA Fantasy Deal, Sponsor, Sword & Sorcery. Rated: 4.6 stars on 3 Reviews. 364 pages. ASIN: B06XFTK7B8. ***Children’s Book:THE DAY MY MOMMY QUIT! (Funny Rhyming Picture book about a family who learn a lesson, Picture Books, Preschool Books, Ages 3-5, Kids book, … Series-(Beginner Readers Picture Books) 1) (Deal, Not Free) by Kally Mayer, Mindy Liang. Cost: $0.99. Genre: Children’s Book Deal, Sponsor, Nursery Rhymes, Parents, Family Life. Rated: 4.5 stars on 283 Reviews. 34 pages. ASIN: B00FY13MDM.